In December of 1984, a group of neighbors in West Allis, WI got together to festively decorate their homes wrap their trees like candy canes for the holidays in honor of a neighborhood child that was diagnosed with cancer. The neighborhood encouraged visitors to make a small donation as they drove through the neighborhood enjoying the holiday lights to support the MACC Fund, and Candy Cane Lane was born. Since 1984, Candy Cane Lane has grown to include 300+ homes and had raised more than $1.6 million dollars for the MACC Fund – with $113,000 raised in last year alone. 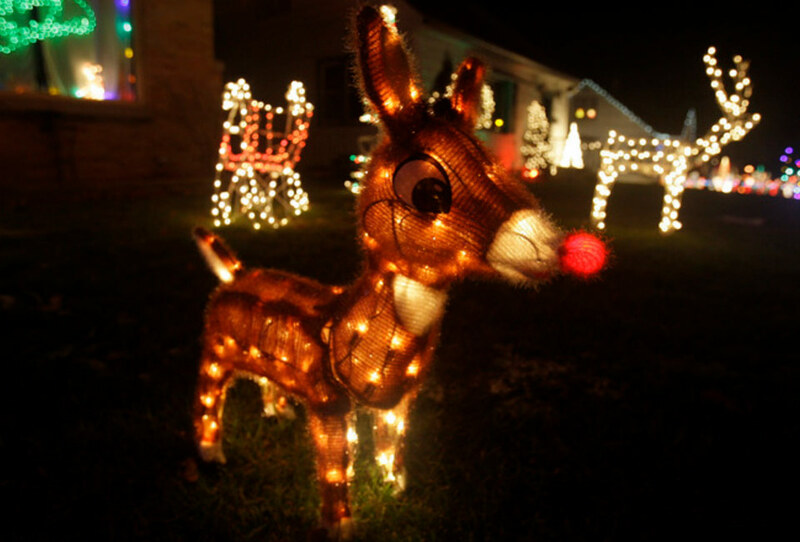 Starting the day after Thanksgiving, Candy Cane Lane will have it’s light aglow in West Allis, WI, from Montana Avenue on the north to Oklahoma Avenue on the south, and from 96th Street on the west to 92nd Street on the East, and runs through December 26th. Come take a stroll or drive through the neighborhood (remember to drive with your lights on!) from 6-9 pm on weekdays and from 5-10 pm on Saturday and Sundays. Not only will see a stellar display of holiday lights and spirit, great daily entertainment but chances are – you’ll get to see Santa too! Make Candy Cane Lane a part of your family’s holiday tradition and give hope to children battling cancer and related blood disorders.